Is A Granada Card Worth The Cost? 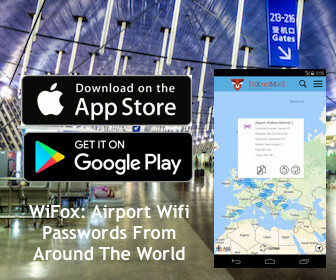 Several cities around the world, particularly in western Europe, have discount tourist cards that give you access to several of the major local sites for a flat fee. Often they’re a balance between savings and time – that is, you get admission to a number of interesting places but limited time to take advantage of them all. It’s those practical considerations that make or break a discount card. So today let’s take a look at the Granada Card, specifically the 3-day pass, which Turismo Ciudad de Granada was kind enough to provide me during my visit to Granada, Spain last fall. What Is A Granada Card And What Does It Get You? As I mentioned above, basically the Granada Card (there are 3 and 5-day varieties) allows you access to Granada’s major touristic sites, including the popular Alhambra. The 3-day card costs 25 Euros and the 5-day is 30 Euros. They both get you into the same sites: the aforementioned Alhambra, Granada Cathedral, Royal Chapel, Monastery of Cartuja, Monastery of San Jeronimo and Science Park Museum. This of course doesn’t include the bus fares that come complimentary with the card (a single ride is around 1.25 Euro) and the added perk of being able to skip to the head of most lines. Are Visiting That Many Sites Practical? In case you don’t have 96 hours in Granada, I would organize the sites in this order: Alhambra (one day), Science Park Museum, Monastery of Cartuja (same day), and Granada Cathedral, Royal Chapel, and Monastery of San Jeronimo (all same day). It can be done I know because I did so, despite my habit of tardiness and fondness of consuming alcohol with my Spanish friends. The only site that absolutely requires you to be on time (and early) is the Alhambra. I met many travelers at my hostel who missed out on a visit because they neglected to get there on time. There are a few ways and locations where you can get a Granada Card. 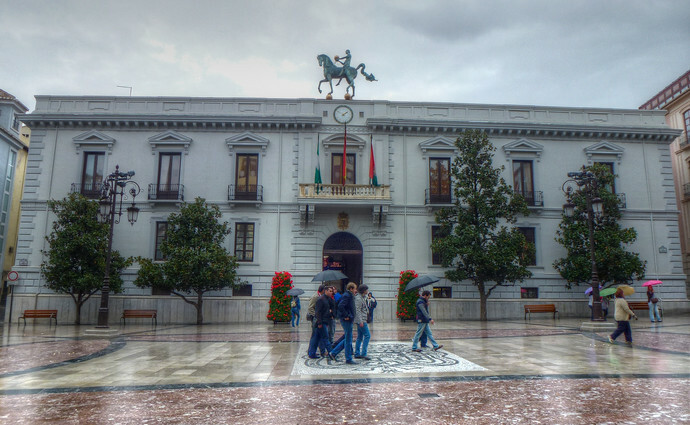 The easiest way is to swing by the Granada City Hall in Plaza del Carmen (pictured above – here’s a map) the day before you plan to start using it. (Say hi to them from me while you’re there.) You can also pick one up upon entry into the Alhambra or the Science Park Museum. The short truth is, many of these cards like the Dublin Pass, require you to visit countless sights from morning until evening so you’re doing nothing but. The Granada Card is a nice blend of price and pace; quite appropriate for this region of Spain. PreviousWhy Aren’t More People Visiting (The Country) Georgia? 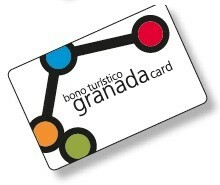 Thanks for your marvelous article on our Bono Turístico Granada Card!! My absolutely pleasure – thanks for giving me the opportunity to realize what a good deal it is! Well, I already purchased my tickets to the Alhambra for July since everybody said to get them way in advance, so the card would barely cover its cost. But bus rides and line-cutting are a big plus. I’ll think about it. Thanks for the advice! I should have also added that the 3-day card comes with 24 hours on the local hop-on-hop off; and the 5-day 48 hours. Two more perks to consider but if you’ve already gotten your Alhambra tickets it may not be worth it. However, I would shoot an email/message to the folks at Turismo Ciudad de Granada (Facebook: http://www.facebook.com/granadaturismo), let them know you’re inquiring after reading this post, and perhaps there’s a way to combine your existing ticket into the card. Worth a try and if it’s possible I know they’ll do their best to help you. Hi Anil & Sonia, once you’ve booked the Alhambra there’s no point for getting the Bono Turístico Granada Card as that monument is the most expensive. Regarding the tourist bus, the 3-day card doesn’t have this service included BUT if you want to take it you will get a great discount :). The 5-day card includes the 24-hour ticket for the hop-on-hop off. How does it work with the Alhambra? I heard you should purchase ahead of time, but with the card do you go there and make a reservation for a later time or can you just show up whenever and the card gives you preference? Also, I heard it is great to go both during the day and the night. Does the card just provide one entry or could you use it to enter twice? I already answered Jeff, i’m suscribed to comments on this article so I’ll be answering all your doubts your readers may have! Thank you again for the invaluable Granada information!! Hi Jeff, let me explain how the Alhambra and the Granada Card works. On your purchase of the Bono Turístico Granada you will have to decide when to visit the Alhambra (date, morning or afternoon shift, and exact time for visit the Nasrid Palaces -the most important part of the Alhambra). For the rest of the monuments, you can visit them whenever you want whithin the 3 or 5 days. The Card only allows one entrance to each monument. (and for the Alhambra, only the day visit). So if you wish to visit the Alhambra by night (you will visit only the Nasrid Palaces or the Generalife -the gardens-) you will have to get another night ticket. I hope I answered all your doubts, if you have further inquires, I will be very pleased to answer! Daniel, thank you for the reply – it did indeed answer my questions. I look forward to visiting Granada and picking up one of these cards. Hi Kate, I’ve messaged Turismo Ciudad de Granada who will get back to you shortly with the answer! 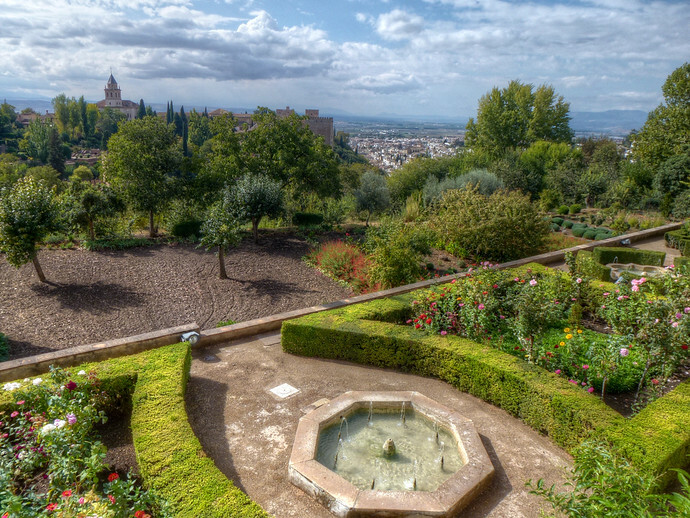 the only thing to do is that you get quickly a taxi from the train station to the Alhambra. Tell the taxi driver to drop you off at Plaza de los Carros (within the Alhambra complex), next to the tourist information point of the Alhambra. Go there and you’ll get your Granada Cards printed there. Then you’ll have to go to the Nasrid Palaces entry. Hope you make it without any problems. Thank you so very much. I will do exactly what you said. Seems like a great card! I usually find that those kind of cards will save you a lot of money if you’ve already planned to visit the attractions they cover. Out of the city cards I’ve tried, my favorite ones (that have saved me the most money) are the Innsbruck Welcoem card (almost every single thing is free, including all transport) and the Edinburgh pass (also a lot of free stuff). Absolutely, and a good point I hadn’t thought about – these type of discount cards can often let you know about or encourage you to visit some sites you might not have otherwise. I’ll keep the Innsbruck and Edinburgh cards in mind, I haven’t been to either city so good to know about them! 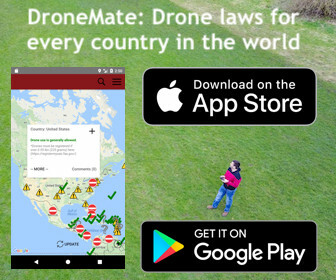 Just discovered this site. Hope I get a reply. Visiting Granada in 3 weeks – will be travelling with my 4 year old and 1 year old. Will bus fares be payable for them? your 4 year old kid will have to pay. But your 1 year old one won’t have to. Thank you Daniel for the response! I just found your blog (and now you are on my Facebook!) when I was getting a bit frustrated that the regular tickets to the Alhambra are all sold out during my travel period (April 16 to April 18) think this card is a great option, I am just not sure if I should get it online now? Will this card get sold out if I buy it upon my arrival on April 16? I want to take the morning session on April 17 but only arrive into Granada around noon time on April 16. What’s the best away to optimise the value of this card? By the way, I think I am gonna buy the basic card as I will be taking overnight train to Valencia at 2000 on April 18. I am staying very close to the Cathedral, is it close to places where I pick up my card? By the way, I see the Granada Basic costs like 32€, can you post the link on where it is just 25€ last year? Hi Cindy, my name’s Daniel and I work for the Tourist Department of the Granada City Hall. The first think I want you to take into account is that the days youre coming is Holy Week… the most important week for tourism in Granada. Congratulations, you will experience Granada as its best. However, as youve already noticed, it is a problem for getting tickets for the Alhambra. If you arrive on Wednesday 16th noon you wont have problems to print it out as it is not bank holiday, and you will be able to go freely to Alhambra on Thursday for enjoying your visit. As youve noticed, since Anil came to visit, the Granada Card basic now costs 33,50. The Plus 37,50 euro. The difference is the public transport, if you want to enjoy the CitySightSeeingBus, then is your option because the single ticket for this ticket is 18 euro, with the Plus Granada Card is only 4 euro more. 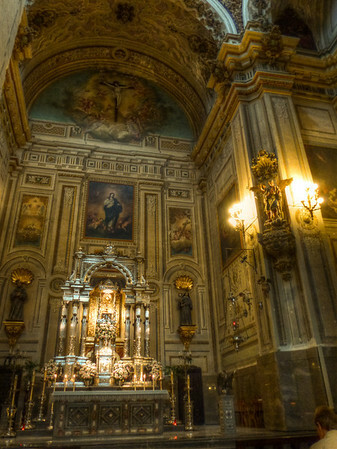 I’m due to arrive in Granada on 18th June, which is Corpus Christi. Will I be able to collect the Granada Card on this date, as I think it is a public holiday? on June 18th, our Tourist Office at the City Hall will be open from 10am to 8pm. Thank you for your help, will the other collection points be open on 18th June, I’m staying close to Plaza Nueva. Also, do you know what is the best time to visit the Alhambra Palace and then after my stay in Granada, if it would be best to travel from Granada to Seville by train or bus? I notice that they both take just over 3 hours. Hi Iris, the closest collection point is the Kiosk This.is: at Plaza Nueva (it’ll be opened from 4pm to 8pm during the afternoon). For the visit of the Alhambra Palace, I can give you my reccommendations but if you’ve already booked your Granada Cards you already have a scheduled time for your visit of the Nasrid Palaces (the main part of the Alhambra complex). You need to be punctual at the entrance point of the Nasrid Palaces. The other two areas for visit (Alcazaba and Generalife) are visitable according to your Nasrid Palaces. Regarding transportation from Granada to Seville, I would recommend the bus as you’ll have more possibilities… but both are OK.
Hope I helped you with your doubts. Thank you for all your help. I haven’t booked my Granada card as yet, so I will check what times are available to visit the Nasrid Palaces when I book it. I can then collect it from the Kiosk in Plaza Nueva when I arrive in Granada. Yes, then in this time of the year I must admit afternoon/evening light in the Alhambra is one of the most charming experience in the world. So go for an afternoon ticket. I’m happy you found my site and thanks for adding me on Facebook! And Daniel, thank you very much for the information. Cindy, feel free to post any other questions you may have, Daniel is a great resource who follows this thread and I’ll do my best to help as well any way I can. On a side note, I’m excited for you, Granada is one of my favorite cities in the world. You will have a great time! Thanx so much for your detailed response. I bought myself a Plus Granada card after reading Daniel’s comments and am ready to explore the wonderful Alhambra very soon! Can’t wait! – Got the 0930 ticket on April 17, I read that it takes at least an hour to finish Generalife Garden and that I can’t retrace my steps before my timed visit to the Nasrid Palace, it’s suggested that I go directly to the palaces through the Puerta de la Justices entrance, rather than the main tickets office. Are you of the same opinion too? – I will stay near Plaza Trinidad, what’s the closest pickup point if or me? I just wanted to explore what option I have if I arrive Granada around 1815. Alternatively, I read I could go to the Alhambra earlier and print my ticket right there? – When does the clock start to tick for the 24-hour CitySightSeeing bus included in my card? The time I validate it when I board the bus or? Do I have to validate my card everytime I am on bus? Sorry for so many questions, hope to hear from you soon. Have a nice weekend! Hi Cindy, it’s always a pleasure. -With your Granada Card there’s no need to go to the ticket office. Plus, your Nasrid Palaces time is early in the morning so you can perfectly first visit the Palaces (9.30h-10.30h), then the Alcazaba (10.40-11.40) and finally the Generalife Gardens (12.00-13.00h). These times are just approximations, you can stay longer in each of the areas if you desire. You have to bear in mind that once you access each of the areas you won’t be able to visit them again. You also have to enter the Alcazaba and the Generalife befor 14.00h. Regarding your gate of entrance, I agree with the opinion that you should access the complex through the Puerta de la Justicia. -The closest pickup point is the City Hall, however we close at 19.00. You got the El Corte Inglés department store is opened til 22.00. The problem about printing in the Alhambra is that they don’t open until 9.30 so that it won’t be possible for you to print them on the same day there. -The 24-hr ticket for the CitySightseeing Bus starts on the same moment you hop on for the first time. -Trains in Spain are safe, don’t worry there won’t be any problems. About your question on if it a sleeper or seater train, it depends on your ticket. Your ticket will validated on the same train. You can go to the train office beforehand so you can print it. I hope I answered everything you needed! You can ask whatever you want, I’ll be glad to answer all of your doubts! Daniel, thank you so much for the help! I will take the Bus #30 , is there a stop near the Puerta de la Justica gate? How far it is from the main entrance? Good to know I could still print my ticket at the departure store, if I ever arrive after your office is close for the business day at 22.00. How far the departure store is from the Plaza Trinidad on foot? So I can take my CitySightSeeing Bus the day after I visit the Alhambra, good! If my train departs at 21.30, how soon I should get there (to finish the validation and etc?) I have heard a lot of stories about the thieves on Spanish and Italan trains so I am just a bit concerned. We just got the Granada Card to visit the Alhambra. All tickets were sold out for April. So, our time for the Nazrid Palaces is 19:00. When can were enter the the other areas that don’t require a specific time? We hoped to spend the afternoon exploring the gardens, museums etc. Is the card all we will need to get into the Alhambra? When you get your entries for the Nasrid Palaces at 7pm you can visit the Alcazaba fortress and the Gardens of the Generalife from 2pm onwards. You have plenty of time! Yes, indeed. The card is the only thing you need to get into the Alhambra. We are arriving to Granada on December 30 in the morning by place. All of the Alhambra tickets online are sold out — but there are Granada Cards available for December 30. Should we buy the passes in order to see Alhambra? Will things be open on December 30th for us to pick up the Granada Cards and then head to Nasrid Palace? there won’t be any problems for you to pick up your Cards on Dec 30th, our office will be open from 10am and so El Corte Inglés will be. However, I would advice to pick them up the day before (ouf office opens till 7pm) OR not to chose an early shift for visiting the Nasrid Palaces if you can only pick them up on the 30th. its starts. But I will visit Alhambra between 14.00 and 20.00. I wonder they let me in before 14.00 to be on time visit Nasrid Palaces? you have to be at 14.00 at the Nasrid Palaces entrance. Before that entrance you won’t find any control, you can enter the walls without problem whenever you want. So you’ll be able to be on time at the Nasrid Palaces. I am planning to by Granada card(plus) online, Can I collect the card after the starting day of the card? As my travel schedule may change and I will stay at Granada just for 2 days I will choose a previous date as starting day. my arrival date is 01/oct/2015 and the starting date of the card is 29/sept/2015. I would be thankful if you can reply. Hi Bercu, you can collect your card the next day with no problem. Just be sure you don’t miss your Alhambra date as no posibles changes can be made. Sorry! Thanks so much for Your help.I hit wrong button for rating.SORRY FOR THAT. I will be in Granada for 2 days i.e. December 27 and 28. I am planning to buy the city pass since I could not get the Alhambra ticket. My concern is that December 27 falls on a Sunday, so will I be able to collect my ticket that day so that I can visit Alhambra the next day? Wondering, since it is a public holiday. Also, I plan to visit the other attractions, which are covered by the pass, on Sunday. Will the sites be open for tourists on Sunday? Hi Leoni, our office will be open on that Sunday from 10am to 2pm. El Corte Inglés department store will be open from 10am to 10pm so you will not have problems for picking up the cards. Regarding the monuments they’ll be open but taking into account that the Science Park Museum and the Museum Caja Granada will be closed from 3pm-ish. I recommend you to check the following link on the days prior to your visit. We will add a link with the special opening times for Xmas. Also when you come to our offices you’ll be given the exact open times. Hope you enjoy your visit to Granada! If I buy the card online now for January 4th, can I then collect it on the same date (January 4th) and visit Alhambra right after? Or do I “have to” collect it the day before? And one last thing: On that date I would like to collect the card as early as possible – so which collection point would you recommend (concerning the opening hours)? Hi Irem, the earliest you can pick up the cards is at 10am at the Tourist Office at the City Hall or at El Corte Inglés. You can pick up the cards on the same 4th. However, if you decide to do so, my recommendation is that you leave your visit to the Alhambra a for the afternoon so that you don’t miss time fo visiting the Alhambra. I will be in Granada this June 16 – June 19, 2016. I am looking into tickets for the Alhambra and I am trying to decide which way to purchase as the ticket website doesn’t seem to be working right now. If I use the GranadaCard, I understand that I still make an appointment time to enter the Nazarid Palace. My question is, can I use the card at any other time to access the other sites within the Alhambra complex on that day morning or afternoon so long as I make my appointment time for the Nazarid Palace? Can I even see them on a different day than the Nazarid Palace? Or does it all have to be done either from 8:30am-2pm or 2pm-8pm on the same day? As you’ve said you can’t access the pay zones of the Alhambra before 2pm. However you can access the complex before, as it’s a free part of the city. You can easily get to the Alhambra at 1.30pm and find your way easly to the Nasrid Palaces. After that you have until 8pm to visit the whole complex with all the parts to visit! I hope I answered your doubts! Thanks for the help Daniel! We made it to the Alhambra and palaces yesterday afternoon (shortly after your message) and everything went smoothly. What a nice visit! I hope this is how to reach you, I purchased a Granada card online and I have an appt for the Nazarid Palace at 1:30. Tomorrow 9/22/16. I think that means I need to visit the Alhambra and the Generife Gardens in the morning, right? Does that mean I only have 1/2 hour to visit the NP? Hi Denson, sorry for the delay in my answer, but I wasn’t notified by the system. I guess you sorted out everything but I’ll answer to your questions here as it may be helpful for other users of Granada Card. Having your appointment for the Nasrid Palaces at 1:30 (13:30) you have the whole day for visiting the other parts of the Alhambra (from 8:30am to 8pm/6pm Summer/Wintertimes). This information is as of today. The Alhambra can change that, but even if it’s a morning shift, you can still visit the rest of the monument during the afternoon when you get a 13:30 Nasrid Palaces slot. You can stay as long as you want in the Nasrid Palaces if you have a 13:30 appointment (until closing time, of course). Pick up points for the Granada Card are (as of October 2016): City Tourist Office (@City Hall), El Corte Inglés or Parque de las Ciencias. I am planning to arrive In Granada on 24th October around 3:15 pm and leave the next day around 4:30 pm. Since the advance tickets to Alhambra are sold out, I am planning to buy the Granada card. I have a couple of questions regarding my visit and your reply would be extremely helpful. 1) How many entries can I make to Alhambra with the Granada card. My original plan was to do a night visit on 24th and then spend the next morning there too. 3) At this time of the year, what time day/night would you recommend to visit the Nasrid Palace? 1) The Granada Card allows only one entry per card to each of the parts of the monument (Nasrid Palaces, Alcazaba and Generalife). The Granada Card doesn’t have night visit for the Alhambra. Only morning or afternoon. 2) October 24th is Monday so you can pick up the cards at the City Tourist Office from 9:30am to 7pm or at El Corte Inglés department store from 10am to 10pm. 3) Personally I enjoy the Nasrid Palaces the best during the late afternoon (5:30-6pm would have a very good lighting during this time of the year). I hope my answers were helpful! Hi Daniel, do you know why we Australians are not allowed to buy tickets for the Alhambra online? Apparently our credit cards are banned according to lots of complaints from Australians on trip advisor going back to 2013. The Ticketmaster website lets you keep on trying and wasting precious time but it never tells you the truth. Apparently renfre also has a ban on Australian credit cards but luckily we have bought all our train tickets with no problems. We feel we are being forced into buying the Granada card which apparently does accept our credit cards! I hope we don’t have further problems spending our tourist money in Spain for three weeks. We are travelling in two weeks time and my husband is not keen on spending the extra on the Granada card. Thanks for your helpful site as visiting the Alhambra is certainly a complex business. Rosalind. Hi Rosalind, I think it’s a problem with the PIN number that Australian cards don’t have? I’m not sure about this. They are changing the whole system so it should be over within the next year. Hi Rina. We’ve changed the system this last week and El Corte Inglés is not longer a pick-up point. We are working in having some new pick-up points but for now only the City Tourist Office and the Science Park Museum are the places to go. For picking up your Granada Cards on the 2nd you’ll need to go to the Science Park Museum from 10am to 3pm. Thank you Daniel and Anil. I ended up buying the 3-day Granada card for January 2-4 with Nasrid Palace entry at 4pm on January 3. I have some follow-up questions. 1. If we don’t get to pick up the cards on January 2, will we have any problem claiming them on January 3? I assume that the city ticket office is open by 10am on January 3? 2. We bought 2 adult and 2 child Granada cards. Do we all have to be present to claim the Granada cards or can one adult get all four cards? 3. Once we have the Granada cards, do we have to go to the Alhambra Main Visitor entrance or could we go straight to the Puerta de la Justicia? 4. We have the afternoon Alhambra visit on January 4. Will they let us enter the Main Visitor Entrance or the Puerta de la Justicia before 2pm? Kids take a while to walk and we’d like to be at the Generalife at 2pm if it’s possible. 5. Do you know what are the non-paying areas of the Alhambra? We would like to see some of the places mentioned in Washington Irving’s Tales of the Alhambra such as the Tower of the Princesses, the Square of the Cisterns (Plaza de los Algibes) and the Garden of Lindaraxa if possible earlier. 6. Is it possible to see the Puerto del Suspiro del Moro? We are using a Granada card to enter the Alhambra. We are 2 adults, a 13 year old and a 9 year old. Do we need to go to the ticket office for the 9 year old or can we go straight through the gates? If you didn’t get the Granada Card for children for the 9yo you’ll need to go to the Alhambra ticket office for the gratuity ticket. I will be in Granada at the beginning of March. since I found no Alhambra tickets for that time. That’s why I want to buy Granda Card. My child is 1 year old. I know that he has free access but I have to confirm this at the main entrance. This may cost a lot of time (many people and queue to pick up ticket) and you have to go in from main entrance. That’s why I would like to buy a Granda Card Kids (for children from 3 years) but use for my 1 year old child. Then I do not have to go to the cashier and can choose the entrance. Hi Jack! First, congratulations for choosing the Granada Card, as you won’t only visit the Alhambra but the other main monuments in our city. Your decission is actually very smart and I recommend it. With the Granada Card Kid for your 1 year old you won’t need to go the ticket office.